4400901 TL435-10 Litronic series 4 LIEBHERR TL435-10 Litronic series 4 Telescopic Handler Operator's Manual. Service Manual and additional technical information for repair and operating. 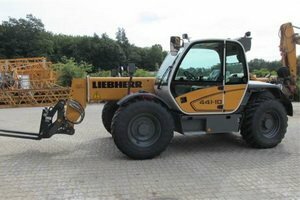 4400902 TL435-13 Litronic series 4 LIEBHERR TL435-13 Litronic series 4 Telescopic Handler Operator's Manual. Service Manual and additional technical information for repair and operating. 4400903 TL442-13 Litronic series 4 LIEBHERR TL442-13 Litronic series 4 Telescopic Handler Operator's Manual. Service Manual and additional technical information for repair and operating. 4400904 TL445-10 Litronic series 4 LIEBHERR TL445-10 Litronic series Telescopic Handler Operator's Manual. Service Manual and additional technical information for repair and operating.